Meet renowned Hawaiian playwright Gary Kubota and actor Moronai Kanekoa at a special reading and reception on Wednesday, Oct. 8, from 6 to 7 p.m. at the Westchester-Loyola Village Branch of the Los Angeles Public Library, 7114 W. Manchester Ave., Los Angeles. Kubota is the playwright/producer of “Legend of Ko’olau and the author of “To Honor Mau: Voyage of the Hokule`a through Micronesia.” He is the producer of two “Hawaii Specials” on primetime Hawaii Public Television, and has received several national writing awards. 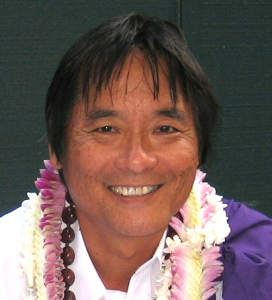 Kubota is flying in from Hawaii to read excerpts from his play and other works, and do a Q&A about the craft of writing plays and stories, as well as discuss the backstory to “Ko’olau.” He is opening “Legend of Ko’olau” at the David Henry Hwang Theatre, 120 Judge John Aiso St. in Little Tokyo, on Saturday, Oct. 11, at 7:30 p.m.
Kanekoa (Ko’olau) has performed extensively onstage and in the award-winning film “The Haumana.” He’s an MFA graduate in acting from USC, and a former Maui resident now living in Los Angeles. The event is free. For more information, visit www.facebook.com/events/340978862731609. For tickets to the play, go online to http://legendofkoolau.com.